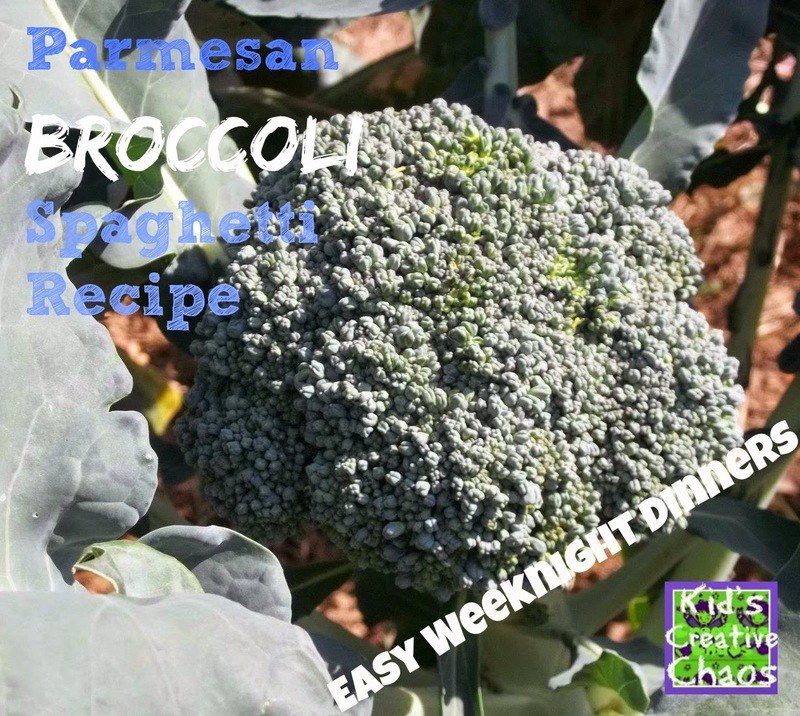 Easy Weeknight Dinner: Parmesan Broccoli Spaghetti. I try to plan meals- unsuccessfully. If I get around to cooking, then, leftovers sit in the fridge FOREVER! So, yet another night that I did not want to cook arrived. You may recall that I am trying to lose weight, this means I am also trying to avoid eating out. You might also like to make a little extra, plain spaghetti for sensory play. Saturday we had Roast Chicken with Curry, Broccoli with Cheese and Baked Potatoes. We'd all been sick and none of us had much of an appetite. Sunday we had hotdogs with Sloppy Joe Sauce. It all just sat there screaming at me to toss it. I'm tired, I thought. Then I remembered Alaina's blog. 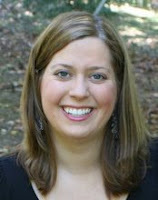 Maybe, even better as she has 3 boys under 4. She does plan incredible things and actually does most of them. She is my idol and often my inspiration. So, I am feeling like a bad Mommy, I am seriously fighting the urge to say, "How about cereal tonight?" When I pull everything out of the fridge and stare at it. "By George, I think I've got it!" 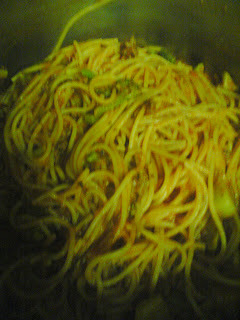 First, I boil a big pot of spaghetti. 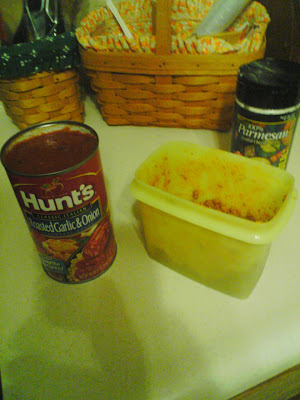 Then, I throw in the sloppy joe sauce. 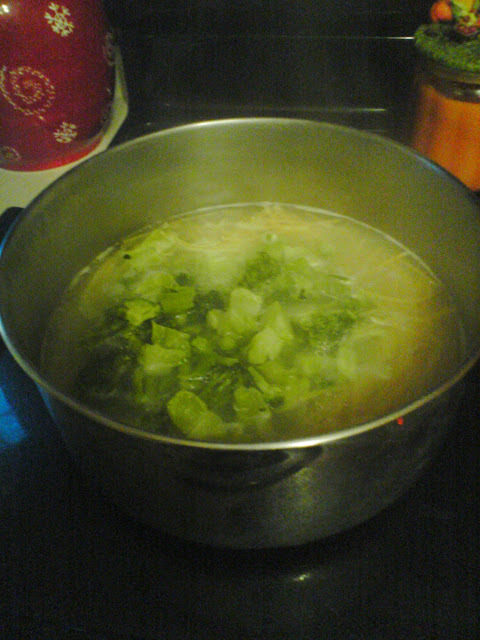 Finally, I toss in the cheesy broccoli and canned spaghetti sauce. Slop it on a plate with some parmesan and serve with those crescents from yesterday. The Cooks Next Door, Alaina. Alaina Falk, of The Cooks Next Door, not even close. Hey though, Jake hugged me and said, "You're the best Mommy ever!" I know it doesn't get any better than that :-) If you are in to planning meals this works great for those nasty Mondays.